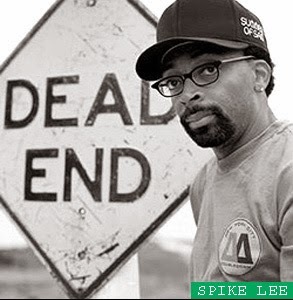 At the end of his essay, Black Spectatorship: Problems of Identification and Resistance, Manthia Diawara proposes that “one of the roles of black independent cinema, therefore, must be to increase spectator awareness of the impossibility of an uncritical acceptance of Hollywood products.” Spike Lee appears to have taken this to heart, as he mixes satirical elements from texts like Sunset Boulevard and Vanity Fair to create a devastating look at the problems of black representation in media and in media production. Lee clearly views himself as one of Frantz Fanon’s “intellectual elite” amongst the empirically oppressed. His work here seems directed at inciting uncomfortable introspection and ultimately paradigmatic shifts in the narrative treatment of black people. Fanon said the “native writer (would) progressively (take) on the habit of addressing his own people,” creating a “Literature of Combat” that calls on the people to fight for their “existence as a nation.” In this case the fight seems to be for their “existence as a(dignified)culture.” Which, as Diawara also pointed out, cannot simply try to embrace a pre-colonialized version of itself, nor can it mimic the structure of the culture that colonized and oppressed it. 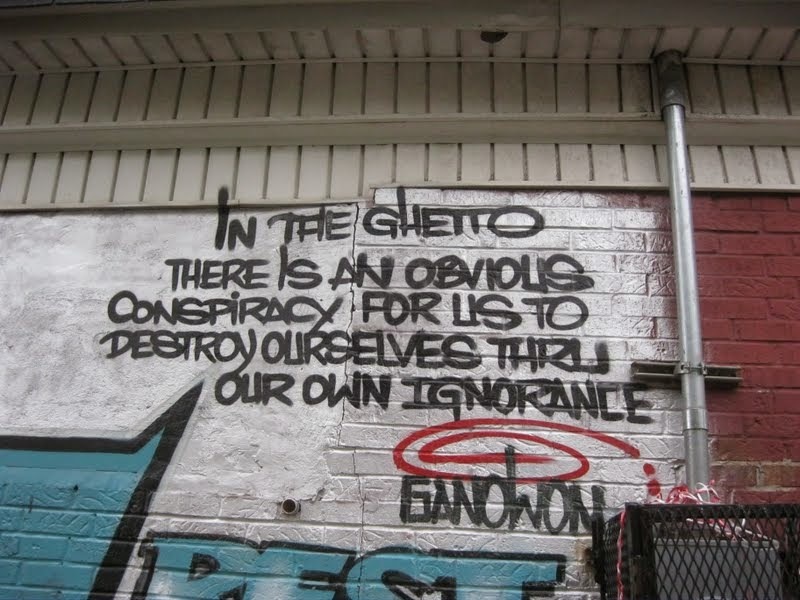 It must involve an awareness of it’s own history and oppression, and find a way to make something unifying compelling, and propelling out of them. But in contrast with Fanon’s textual suggestions, Lee’s film seems to primarily indict black people themselves for their own toleration and furtherance of negativity regarding their race. (Rather than inciting black people to revolt against external oppressors, there seems to be something more internal to his scrutiny) There are only two white characters who appear in more than once scene, and each of them tries (unsuccessfully as portrayed by Lee) to identify as black. The “black” that each of them identifies with are stereotypical reductions of race that Lee tries hard to decimate. Primarily, then, Lee is grappling with what “Black” identity does and should mean. Though he doesn’t come up with an answer in this text, he explores an entire spectrum of essentialist stereotypes that should not be limiting the parameters of Black Culture in the US, but which are consistently reinforced from without and from within. One of the more interesting ways that Lee frames these negative ideas of “Blackness” as false and oppressive, is by careful use of the cinematic tool discussed by Stam and Spence – that of “circling.” It happens repetitively in the film that the characters being visually identified with in a scene are suddenly assaulted or threatened from an unanticipated, seemingly unprovoked external force. The first incident of circling is rather mild – as Delacroix feels singled out an oppressed when he is late to his work meeting because neither he nor his (Black) assistant were informed about it. He is accused of pulling a “Rodman” which is clearly a parallel drawn based more on race than on performance. Combined with the information that surfaces regarding Delacroix’s failed attempts at creating positive or dynamic television shows about Black characters, this circling establishes Delacroix and Sloan’s workplace as an environment prohibitive for their success based on their race and the assumptions about it carried by their non-black coworkers. The second instance of circling is when Manray and Womack are suddenly required to evacuate the vacant building they’ve been living in. This scene seems largely intended to explain their willingness to take on the assignment from Delacroix of wearing blackface and participating in a minstrel show. But it also demonstrates assumptions made by (white) police officers about black people that go unchecked in this scene and are reinforced in the final circling by police toward the end of the film. The most overt “circling” scenes are the most violent. When Manray is abducted by the Mau Mau, we are at the end of a scene where we are made to identify with him more than at any previous point in the film. Through sympathetic use of music and silence, a refusal to apply the blackface, and more close-ups than usual, he is at his apex of seeming most human when he is poorly treated and evicted from the television studio. 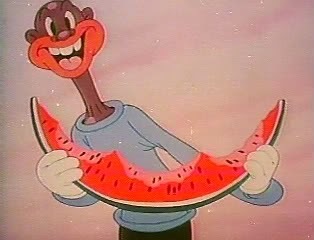 That he is immediately thereafter abducted by the Mau Mau, (who are ironically always seen drinking the rocket drink that sponsored the Mantan Minstrel show) and then slaughtered by them in a scene that is both a visual and a figurative “circling” is very telling about Lee’s frustration with groups that conflate violence with Blackness. That violent scene is also created, visually and aurally, to draw a strong parallel to the actual minstrel show. 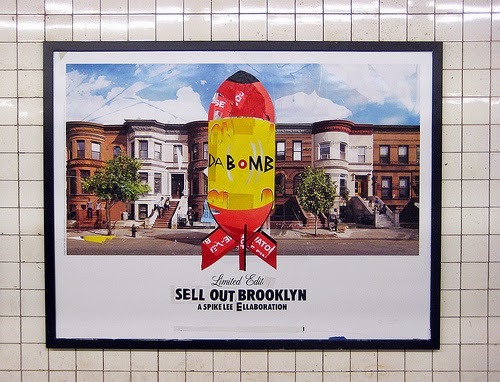 It is also broadcast on television – creating a strong parallel between Mantay’s exploitation in the Mantan Show and the accusation by Lee that Violence-oriented Black rappers are essentially creating a modern disgraceful equivalent of Minstrel Shows. In their attempt to express their frustration with the representation of Blacks in minstrel shows, the Mau Mau merely create a more violent copy of the same thing. That this scene is immediately followed by a subsequent circling in which the Mau Mau are slaughtered in direct parallel with the previous sequence by the police. That the one white-skinned member of Mau Mau is not shot, but rather taken into custody while the rest of the group is shown (in medium close-ups) lying dead and bleeding on the ground indicates that both the police and the Mau Mau have adopted similar beliefs that Blackness equals violence, even if they are manifest in different types of behavior. It is interesting that Lee did not provide a positive counterpoint to his guilty cast of racist Blacks. He doesn’t appear to be proposing a solution, only specifying a problem. In many ways he is pointing out that Racial equality is not yet a moot point, and that post-post-colonialist attitudes, such as that voiced by the VP character Dunwitty that “Who wants to be politically correct these days anyway?” are hugely problematic. The thrust of his argument seems to parallel Angela McRobbie’s concerns about post-feminism: that an emancipatory movement is being deemed “out of touch and out of style” by even those who need to be emancipated before any type of equality is ever actually achieved. Racism, especially as defined by Stam and Spence is still an issue, “The generalized and final assigning of values to real or imaginary differences, to the accuser’s benefit and at his victim’s expense, in order to justify the former’s own privilege or aggression… always a rationale for an already existing or contemplated oppression.” Lee clearly implicates Blacks and their participation in music and television as being unacceptably racist. He has created a difficult text intended to demand resistance from its reader and to evoke introspection about what else they ought to be resisting. Diawara, Manthia. "Black Spectatorship: Problems of Identification and Resistance. "Film Theory and Criticism: Introductory Readings. Comp. Leo Braudy and Marshall Cohen. New York: Oxford UP, 2004. 892-900. Print. Fanon, Frantz. "From: The Wretched of the Earth, From: On National Culture; Reciprocal Bases of National Culture and the Fight for Freedom." The Norton Anthology of Theory and Criticism. Comp. Vincent B. Leitch. New York: W.W. Norton &, 2010. 1437-446. Print. Stam, Robert, and Louise Spence. "Colonialism, Racism, and Representation: An Introduction." Film Theory and Criticism: Introductory Readings. Comp. Leo Braudy and Marshall Cohen. New York: Oxford UP, 2004. 877-91. Print. McRobbie, Angela. "Post‐feminism and Popular Culture." Feminist Media Studies 4.3 (2004): 255-64. Print.